A-HOTEL.com - Luxury and cheap accommodation in Syan'deba, Russia. Prices and hotel, apartment booking in Syan'deba and surrounding. 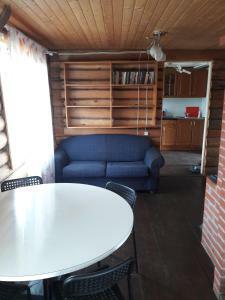 Providing lake views, Cottages "Umostu" in Umosta offers accommodation and ski-to-door access. There is also a kitchenette in some of the units equipped with a microwave, a fridge, and a stovetop. Boasting a sauna, Tuulos Country is situated in Tuloksa. The property features river views. Providing barbecue facilities, Guest House Tuloksa offers accommodation in Ust'ye Tuloksy. Fitted with a terrace, the units feature a flat-screen TV and a private bathroom with shower. Offering barbecue facilities, Holiday house in Nurmolitsy features accommodation in Nurmolitsy. Free WiFi is featured. Country House Dom Fominykh is located in Ust'ye Tuloksy. Guests benefit from a terrace and a children's playground. Terem Fominykh is set in Ust'ye Tuloksy. Guests benefit from a balcony and a barbecue. Offering a garden, Karju Kala is located in Nurmoyla. The accommodation features a sauna. Offering a private beach area, Olonka is located in Ilyinsky Village, 3.5 km from Lake Ladoga. Set in Yeroyla, Guest House Gerpelya 23 offers accommodation with ski-to-door access, water sports facilities and barbecue facilities. This guest house offers a shared lounge. Set in Olonets, Brusnika offers a shared lounge and free WiFi. Each room is equipped with a shared bathroom. Featuring free WiFi, Lintula Holiday Home is situated on the beachfront in Kotkozero. Guests staying at this country house have access to a fully equipped kitchen and a terrace. Holiday Park Lesnoe Ozero offers pet-friendly accommodation in Vagvozero. Free private parking is available on site. Providing lake views, Svirskaya Sloboda in Novaya Sloboda provides accommodation, barbecue facilities and a terrace. All of the units feature a private bathroom, flat-screen TV and fully-equipped kitchenette. Located at the bank of lake Roshchinskoye, Staraya Sloboda Hotel features a sauna, free Wi-Fi and free parking. There is a small zoo and a riding club with its own stables on site. 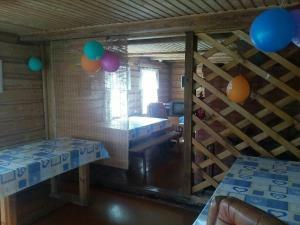 Offering a sun terrace and views of the lake, Guest house Svyatozero is situated in Vazhinskaya Pristan'. Free private parking is available on site.